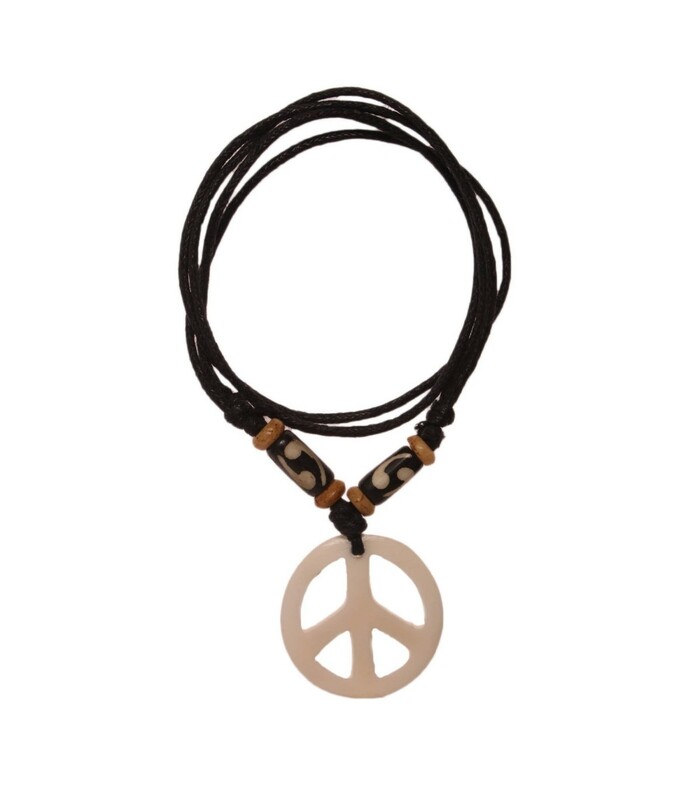 Peace symbol locket for the peace lovers. 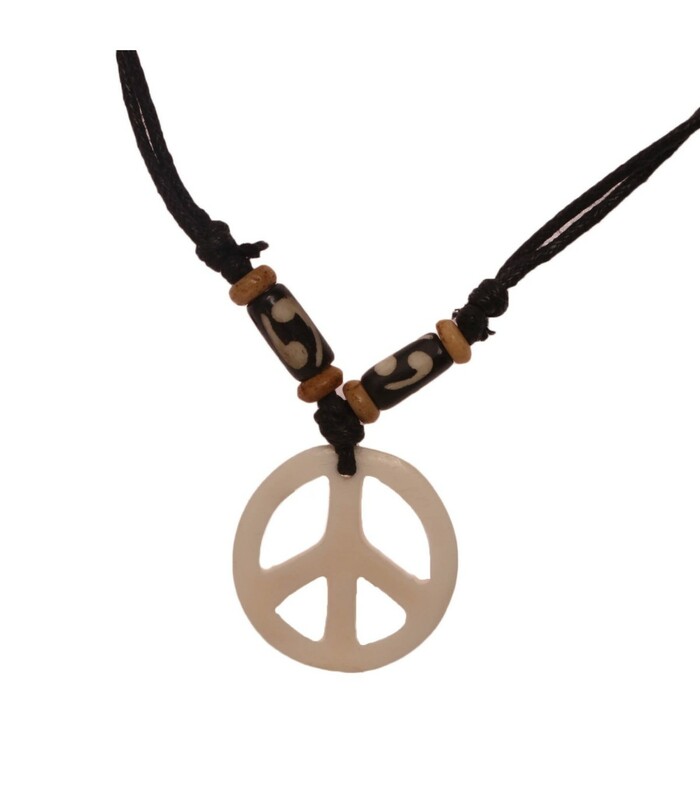 The locket is made from bone and is of white colour, the symbol of peace and serenity. The black cord can be adjusted as per ones preference.